One of the Indians prepares to send a volley back over the net in IR’s win over Lake Forest on Monday, April 30. 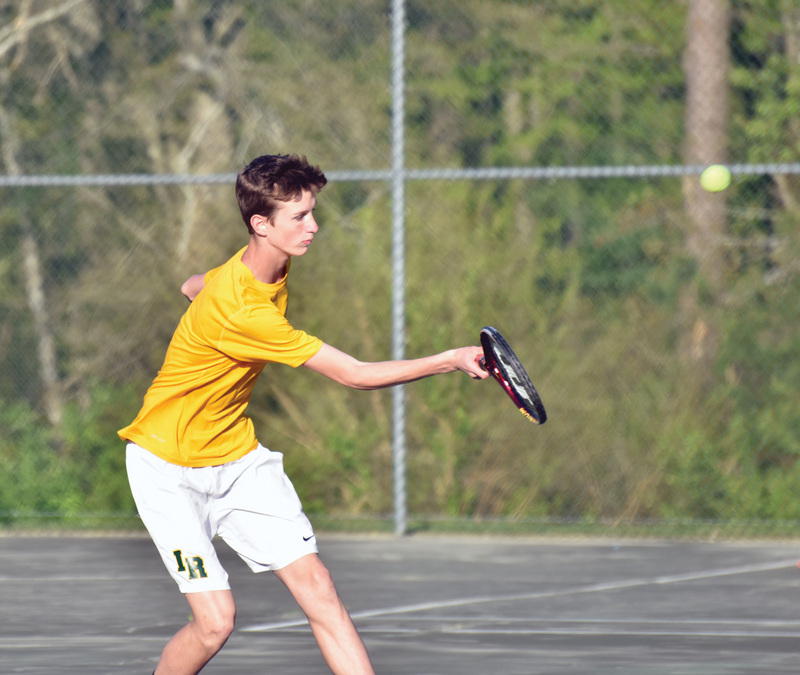 Each of Indian River High School’s tennis teams, both boys and girls, earned 4-1 wins Monday, April 30, over Lake Forest in a home match. It was the IR boys’ third straight win, but that leaves them with a 3-8 overall record with two-thirds of the season in the books. Coach Mariano Woo said he is hoping things will continue improving so they might have a shot at tournament play. Junior Luke McCabe was the first singles winner on Monday, with a 6-4, 6-2 win over Jackson Sylvester. “It was tough at the beginning, but I was able to pull it out of me and get the win,” McCabe said. At second doubles, junior Brian Quezada and freshman Josh Bird beat Lake’s Ryan Vogt and Ben Hickman, 6-4, 6-4. In other matches, IR junior Jhony Ortiz out-scored Connor Weaver, 6-3, 6-1, in second singles. Woo called junior Madison Killen one of his best doubles players. She and her partner, Brooke Weaver, won their match at first doubles. The Henlopen Conference championships for the girls start Thursday, May 10, and will be hosted by Cape Henlopen. The boys’ championship tournament will be hosted by Caesar Rodney, and will also begin on Thursday, May 10.